In 2017, student name tags on University of Michigan dormitory doors were vandalized with a racial slur. Black students said then they were being targeted. The incident restarted a vociferous debate on campus prejudices. If this incident happened today, though, resident assistants and other housing staffers wouldn’t be able to take down the offensive language from the door. It’s the institution’s policy that employees can’t remove speech from a student’s dormitory door, even if it’s hateful or targeting a minority group, an unusual tactic for an institution given the relative frequency with which these episodes occur on campuses across the country — reports of racist, anti-Semitic and homophobic comments on whiteboards abound. This is apparently not a new rule for Michigan, but one that was recently clarified for housing staffers “as a part of evolving understanding in a community,” said Amir Baghdadchi, a spokesman with university housing. But this new attention to the policy comes at a time when the institution’s guidelines on free speech are under scrutiny. A civil liberties watchdog, Speech First, sued Michigan last year, asking for an injunction against its Bias Response Team, which investigates incidents of hate speech and more on the campus. Speech First also took issue with the university’s definition of “bullying” and “harassment,” which it characterized as overly broad and likely to chill free expression. While the lawsuit, which was backed by the U.S. Department of Justice, seems unlikely to be successful — U.S. District Court judge Linda V. Parker rejected the group’s request for an injunction in August — the institution did alter its definitions of bullying and harassment. He said that resident assistants have expressed concerns about the policy and related issues, but pointed out that almost never would hate speech remain up. Students often take the initiative to remove speech they find distasteful or hateful, even if it was from someone else’s door, and they would not be punished for that, Baghdadchi said. “We don’t censure student resident[s] for removing a posting, for erasing things on a whiteboard,” Baghdadchi said. While the student workers and others can’t take down a threat of violence, or something offensive, they can report the posting up the chain of command. 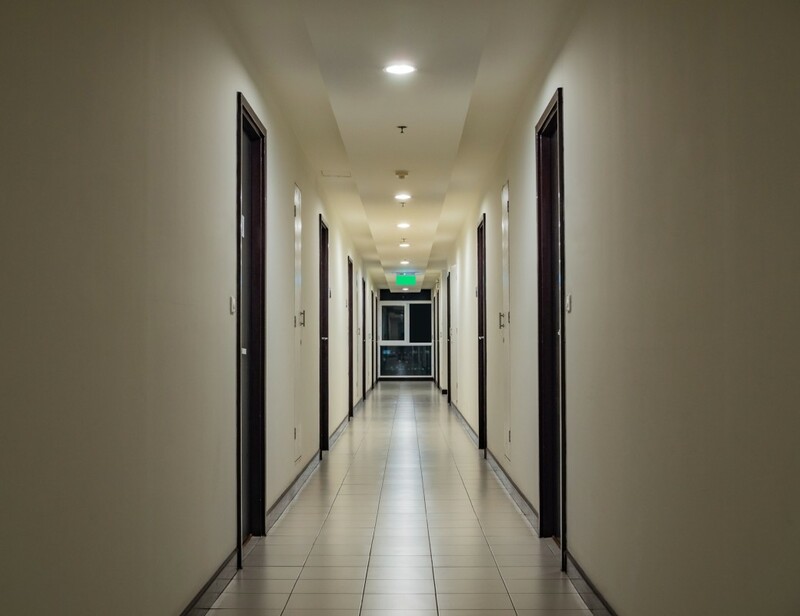 In the case of a violent threat, the employee could go directly to the Division of Public Safety and Security, but often these incidents would be handled by the director of the residence hall or another official. The housing office also maintains a diversity and inclusion unit where students would report. Baghdadchi said that the resident assistants and the housing officials can and should talk with both students who feel victimized and those students promoting hate speech so publicly. Housing employees were trained in how to treat these situations this summer, as they do annually, Baghdadchi said. With the rule, Michigan is meeting its First Amendment obligations, said Eugene Volokh, the Gary T. Schwartz distinguished professor of law at University of California, Los Angeles, and a constitutional scholar. By allowing students to hang whiteboards and decorate their doors, Michigan has created a “limited public forum” that it cannot regulate with restrictions on viewpoints, Volokh said. The institution could step in to halt certain types of speech, such as a violent threat, but even that can be murky territory, Volokh said. Racial slurs or other sorts of epithets would generally be protected speech if they didn’t specifically target one person. But Lecia Brooks, outreach director at the Southern Poverty Law Center, an advocacy group that tracks bigotry nationwide, said that the free speech protections aren’t so clear cut. If a student wrote a racial slur on a door, and there were only two black students living in a hallway, then they would likely feel targeted, Brooks said. She said she was frustrated with the university’s approach to free speech, which she felt would unnecessarily burden resident assistants who couldn’t act to remove the offensive language and would need to handle the reporting. “I think there’s room for further interpretation, and there are exceptions to the First Amendment,” Brooks said. Kevin Kruger, president of NASPA: Student Affairs Administrators in Higher Education, wrote that Michigan’s policy represents an example of the “shifting landscape” of how First Amendment issues are treated on campus. He said it was challenging to create open forums for divergent perspectives, but “feels very different” to permit racist or homophobic speech.